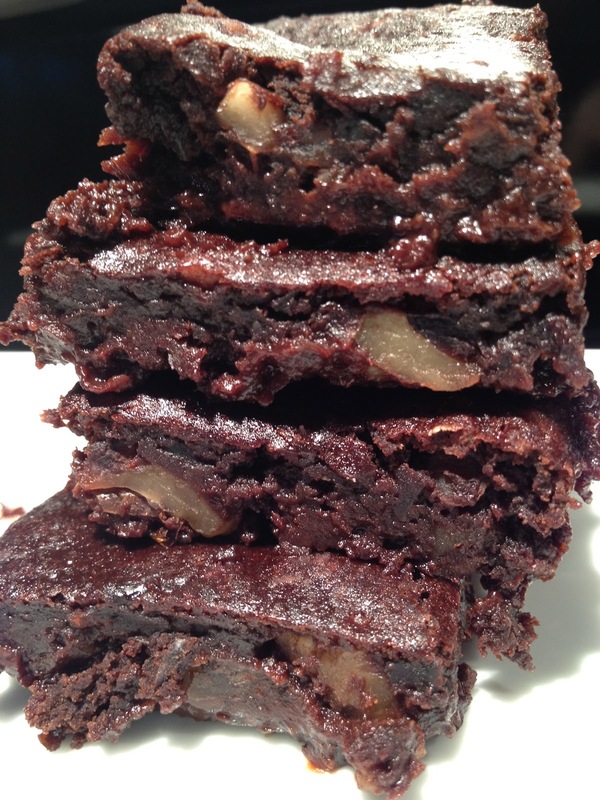 I have heard black beans make a great secret ingredient in brownies as a flour replacement and since I love figuring out gluten-free alternatives, I wanted to try it myself. They come out great, really fudge-y and not too sweet. Preheat the oven to 350. Make the flax eggs. Lightly mash the banana. Combine the beans, flax eggs, oil and banana in the bowl of the food processor. Process until completely smooth. Turn out into a big mixing bowl and add the sugar, cocoa powder, vanilla powder, salt and baking powder. Mix until well combined. Chop the walnuts. Mix into the brownie mixture. Pour into a 9×9 pan and bake for 30 minutes. Enjoy!